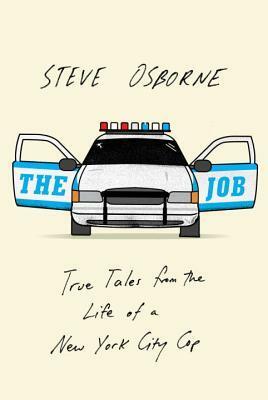 Steve Osborne has seen a thing or two in his twenty years in the NYPD—some harmless things, some definitely not. In "Stakeout," Steve and his partner mistake a Manhattan dentist for an armed robbery suspect and reduce the man down to a puddle of snot and tears when questioning him. In "Mug Shot," the mother of a suspected criminal makes a strange request and provides a sobering reminder of the humanity at stake in his profession. And in "Home," the image of his family provides the adrenaline he needs to fight for his life when assaulted by two armed and violent crackheads. From his days as a rookie cop to the time spent patrolling in the Anti-Crime Unit—and his visceral, harrowing recollections of working during 9/11—Steve Osborne's stories capture both the absurdity of police work and the bravery of those who do it. His stories will speak to those nostalgic for the New York City of the 1980s and '90s, a bygone era of when the city was a crazier, more dangerous (and possibly more interesting) place. Nothing spectacular here, but solidly done. I really appreciated reading the book from Osborne's voice and not from the voice of a ghost writer. It meant that the book really captured his voice - I could basically hear the New York accent through the page. It wasn't overly polished, but it sounded like the voice of a NYPD cop. Osborne got started with storytelling on The Moth and you can see that storytelling is really where he shines. I loved each anecdote and think I would have enjoyed them even more in audio format. If you're a fan of podcasts like The Moth or This American Life or Story Corps, this is exactly the same kind of stuff you'll find there. Anecdotes of personal life, told well, and reflecting Osborne's personality. I think something about the format translates better when you can hear the storyteller speaking than just in reading, but this is definitely worthwhile in print format too. I'll be looking up the author's stories and trying to find them in the Moth's archives so I can hear them as well. A future mayor shining shoes, an atheist shilling Bible, a housewife heading to work during World War II, a now-famous designer getting fired - we all got our start somewhere. A first job may not have the romance of the first kiss or the excitement of a first car, but more than anything else, it offers a taste of true independence and a preview of what the world has in store for us. In The First Job, reporter Merritt Watts collects real stories of these early forays into the workforce from a range of eras and industries, and a diversity of backgrounds. For some, a first job is a warm welcome to the working world. For others, it's a rude awaking, but as these stories show, it's an influential, entertaining experience that should not be underestimated. This book transforms what we might think of as a single, unassuming line at the bottom of a resume into a collection of absorbing tales and hard-earned wisdom to which we can all, for better or worse, relate. Perfect graduation gift; Picador True Tales is a new series of books in which reporters select short, candid, as-told-to, first-person narratives, and curate them in fascinating anthologies. The stories you'll discover within these books will be by turns hilarious, wise, and heartbreaking. 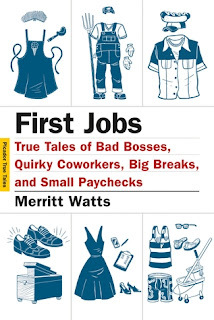 Much like The Job, this book consists of persona essays from various people about the first jobs they ever worked - from the horrible to the inspiring. Some have a better quality of writing than the others, but the true standout here is in the personal anecdotes, not in the writing itself. Again, I'd highly recommend this to those who enjoy hearing personal stories along the lines of Story Corps or This American Life. These are short and easy to read and have a pretty broad appeal. And like a podcast, you can read just one at a time here and there or you can binge on them. Worth checking out, especially if you had a terrible first job and can identify with some of the madness these people dealt with. It's not something that I think people will be itching to get their hands on, but I think it's a pleasant diversionary read. Thanks to NetGalley for providing me with copies of these titles to review!